Are you trying to launch the report from the REPORTS -> Invoice/Memo Form option on the Cash Sales (AR304000) screen? The trouble with this screen is that it doesn't appear that the info is getting passed to the report. 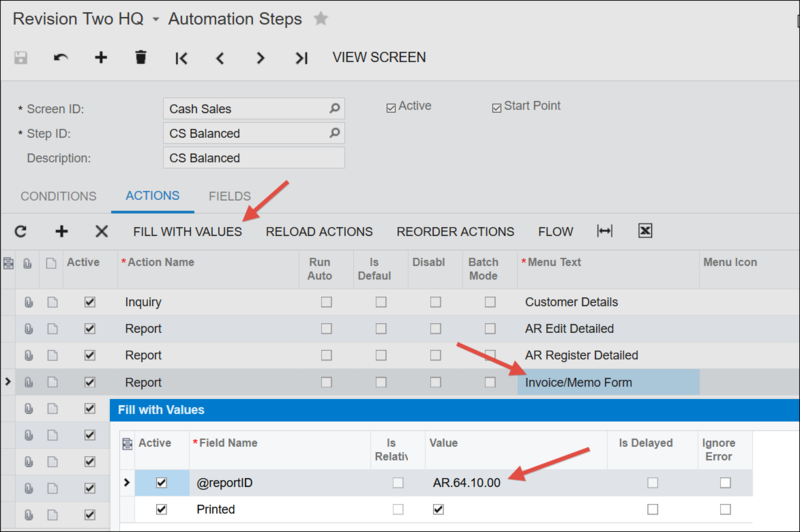 But when you try to do the same thing using the REPORTS -> Invoice/Memo Form option on the Cash Sales (AR304000) screen, it doesn't populate the information on the Additional Sort and Filters tab. As far as I know, you can't change this behavior without customization. The default behavior is baked into the screen. But, as you'll notice in the screenshot above, you can't change what information is passed to the report. So, as far as I can tell, your report can run, but I'm not sure how to run it from the Cash Sales (AR304000) screen without a customization.